DeShawn Demetrius Phillips was born in Cincinnati, Ohio on August 19, 1989 to Crystal Phillips (Keith Jones) and Ira Suber (Brandy Suber). He found Christ at an early age and dedicated his life to Christ at Greater New Hope Missionary Baptist Church under Rev. Donald E. Jones. He attended Cincinnati Public Schools and was employed at Coffee Breaks. DeShawn enjoyed spending time with his kids. He also enjoyed cuddling with his daughter, Akirona and son, Ryan. He enjoyed eating pickles and fish and loved spending time with his granny and family. 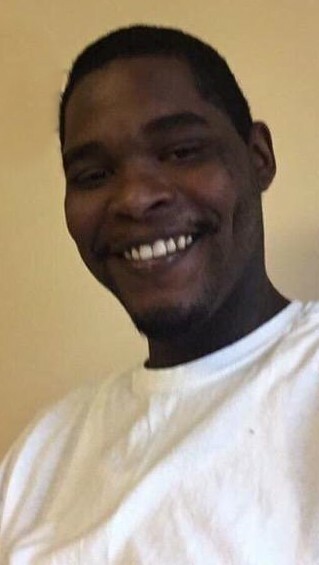 He is preceded in death by his grandmother, Helen Higgins; grandfather, Willie Suber; sister, Demetrius Brady; stepbrother, Brandon Reliford; and aunt, Sharon Higgins. He leaves to cherish his mother, Crystal Phillips (Keith Jones); father, Ira Suber (Brandy Suber); daughter, Akirona (Akir’ah); his son, Ryan (Michelle); a loving grandmother, Linda Taylor and grandfather, Melvin Taylor (Laura); 18 siblings, Christopher Phillips, Damico Phillips, Crystal Kinebrew, Danielle Brady, Demisha Brady, Demetria Brady, Demetrius Brady, Paige Hill, Demeka Suber, Demetrius Suber, Lennell Wright, Damia Suber, Ionna Suber, Ramere Swain, Rahmon Swain, Brea Reliford, Briel Reliford and Tiffanie Jones. He also leaves 4 aunts, Johanna McMillan (Ricky), Linda Phillips, Sheila Phillips and Jonda Profett-Phillips; 8 uncles, John Phillips, Johnathan Phillips (Kathryn), Scotty Taylor, Lee Taylor, Vernon Higgins, Mark Higgins, Allen Higgins and Donald Higgins (Lori); special aunt, Dorothy Terry; a very special and loving grandmother, Linda Taylor; best friend, Lennie “L” and special friend Jerri Carter. Visitation is from 2:00 pm until 3:00 pm, on Saturday, January 26, 2019, at the Walker Funeral Home - Gilbert Chapel, 2625 Gilbert Avenue, Cincinnati (45206). The funeral service will immediately follow the visitation beginning at 3:00 pm. To share a memory of Deshawn or leave a special message for the Phillips family, please click the "Tribute Wall" tab above and to the right, enter the information, and click "Save Post." Walker Funeral Home, 2625 Gilbert Avenue, Cincinnati (45206) is serving the Phillips family. Please call (513) 251-6200 or visit www.WalkerFuneralHome.com for additional information.